Founded in 1958, Sizzler is a family-oriented, fast casual steakhouse that specializes in steaks, seafood, and salads. With over 130 locations, tracking specific details without specialized reporting tools was difficult. Sizzler execs wanted to implement and track the success of their Limited Time Offers, their Cashier Incentive Program and Hourly Labor. 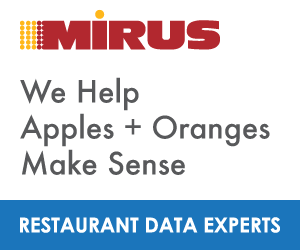 They used the Mirus Above Store reporting Tools to help them do so with ease and very positive outcomes. Below are examples and report images. The images are not actually Sizzler's reports but illustrate similar details. Sizzler promotes LTOs 4-5 times, annually, using primarily TV, social media and radio. LTO’s are designed to gradually increase margins and include up-selling opportunities. 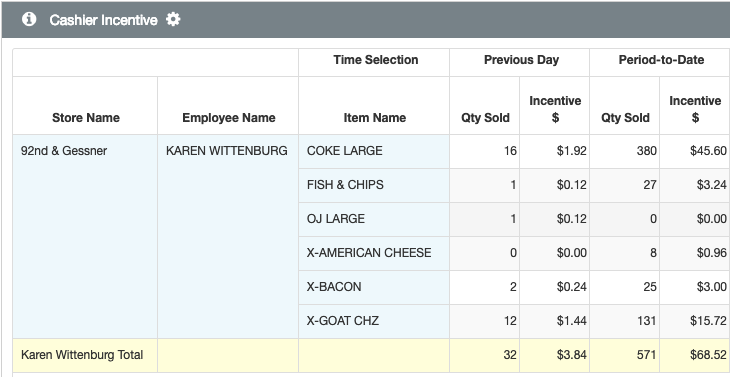 Sizzler uses Mirus to create a Weekly Alert for all company stores and uses two calculations: Mix Measure & N-step to dig deeper into their data. The Cashier position is a key position because it’s the first point of interaction with guests. It has the highest turnover as it’s a minimum wage position, so Sizzler implemented an Incentive Program. The program was designed to incentify cashiers to up-sell, thus increasing margins and allowing employees to earn additional income. Sizzler execs created alerts showing every cashier with the previous day and period-to-date activity. The report also added a dimension for the Incentive dollar amount. Alerts are sent daily to each restaurant allowing cashiers to track their incentive progress. The Reports track three primary variances: Are managers forecasting accurately, are they scheduling appropriately, and are they reacting to significant fluctuations in guest counts. The ultimate goal is to drive more hungry customers into your restaurants. But you also have to dig deeper into your data to see what works and what doesn't. Your team is excitedly planning the next potentially profitable promotion. Every detail has been carefully thought out from in-store displays to social media campaigns. But how much will this brilliant idea actually increase revenue? How will you know? How will your managers schedule employees to make sure you accommodate the customer demands properly? Hopefully, Sizzler's insights have helped you plan a more effective way of looking at your restaurant data and making strategic plans for a more successful business.